The floor leveling continues! The main floor is now nearly complete. 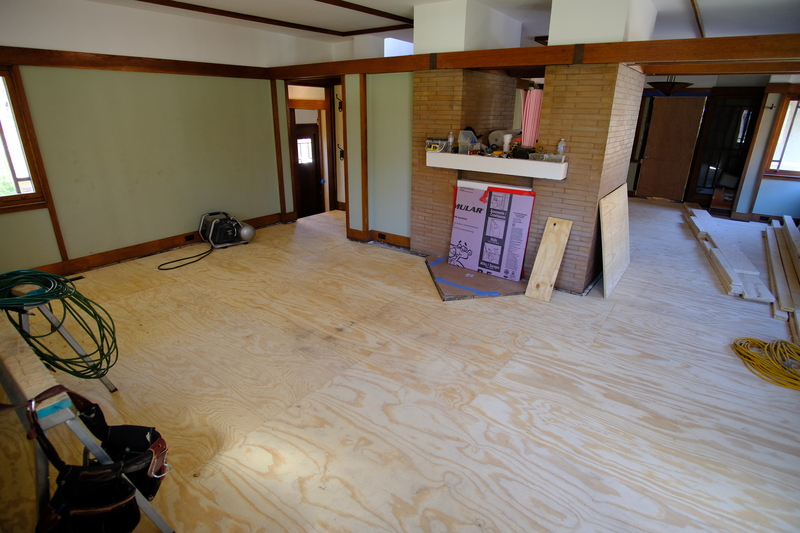 The floor leveling is underway, and it’s a mess! 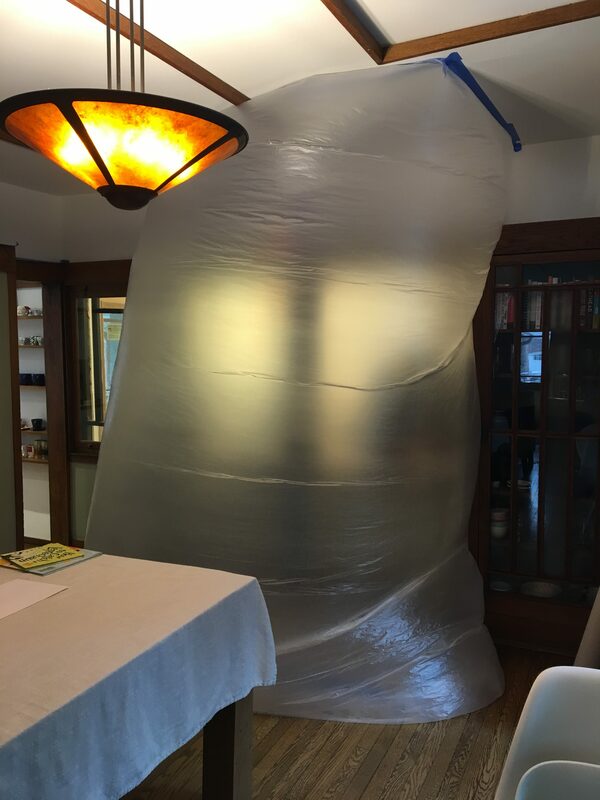 Here is a photo of our dining room before the leveling began. The back of the house, particularly by the stairs and the wall separating the kitchen and dining room, has sunken the most. The addition is nearly complete, aside from a few minor points. The plan is for it to be completely done by the end of next week, at which point phase two will commence! The momentous change this week is the new hole into our addition. Work continues on the exterior as weather permits. 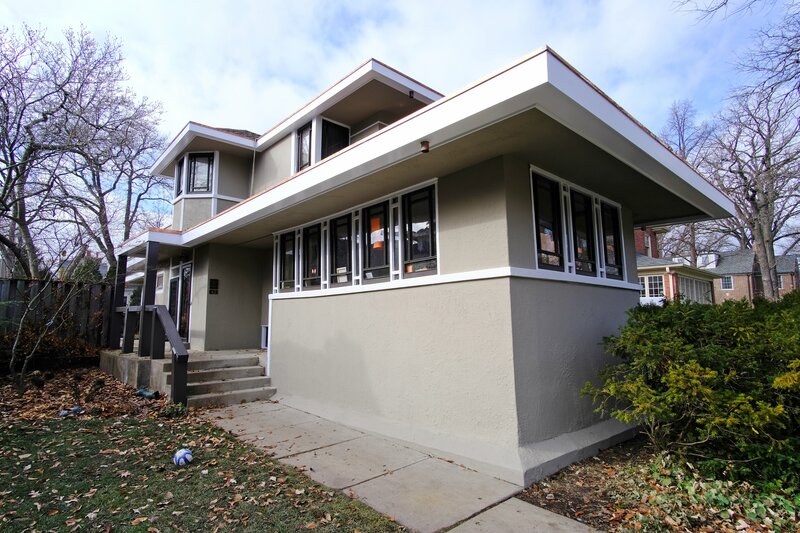 We are very happy with the paint colors and stucco color. It’s a dramatic change that highlights the awesome old windows. 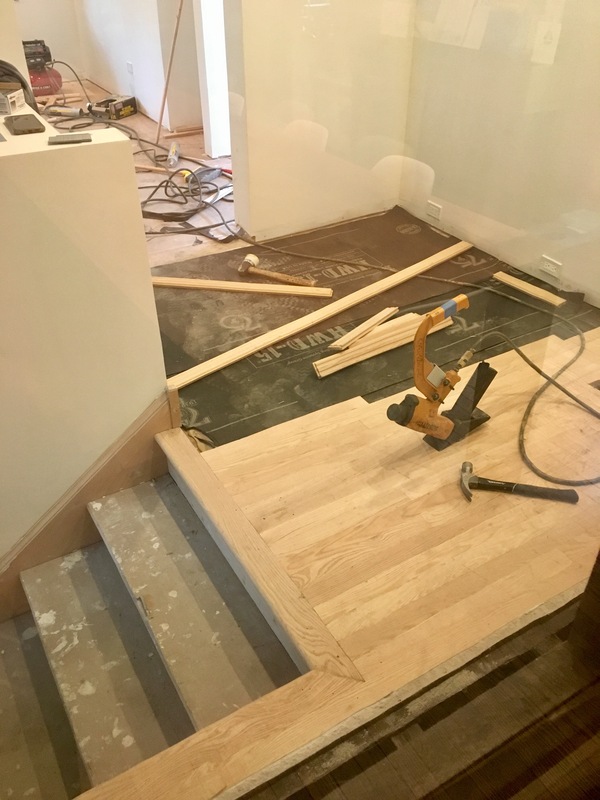 Our new oak floor has been installed on the main floor of the addition, stairs, and landing. It looks terrific! It’s unfinished and dirty right now. They will be sanding it down and finishing it next week. Update: floors and cabinets coming next! 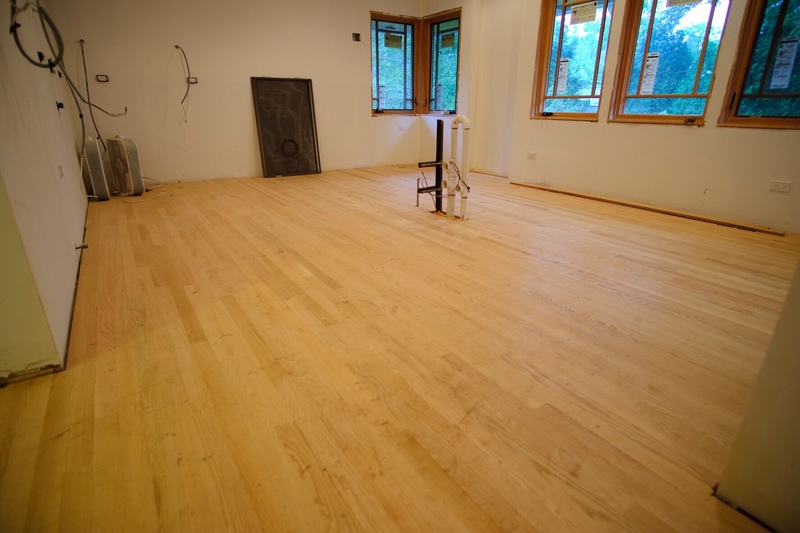 The wood floor has been acclimating in the addition for the past week, and installation began today. It should be complete by Monday, and the kitchen cabinets should arrive next week. The concrete slab is another matter. We have a floor drain in the laundry room, but it turns out the slab slopes away from the drain, not towards it. And, the floor slopes towards the egress window overall. 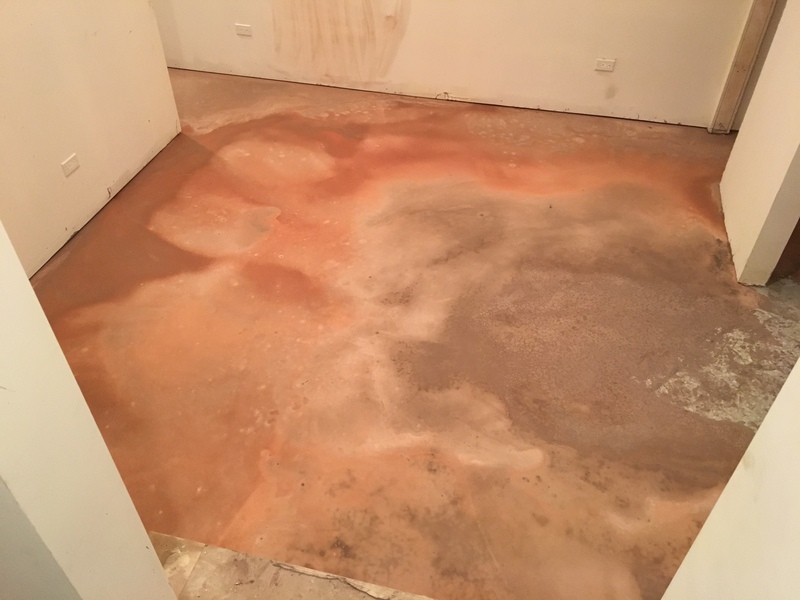 A slab prep contractor ground down the laundry room floor so that water drains towards the drain, not away, and poured a self-leveling product. 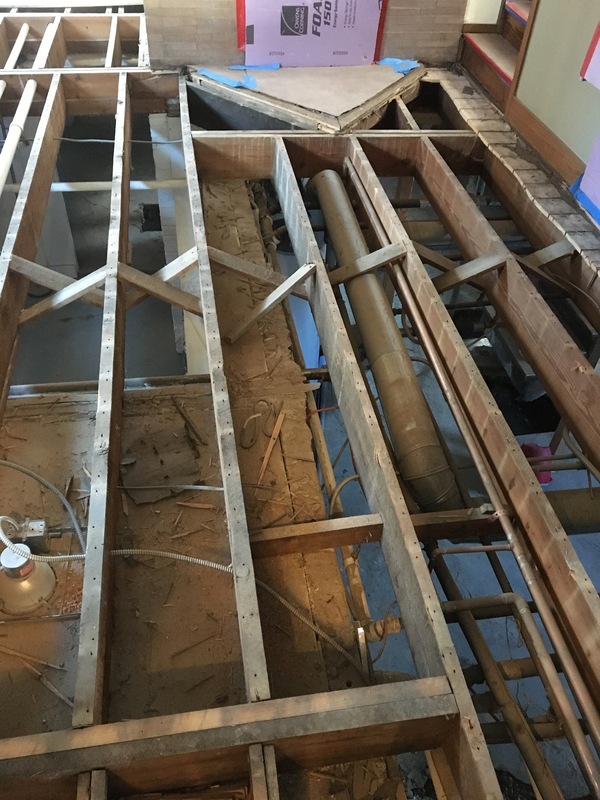 Author BenPosted on October 5, 2018 October 6, 2018 Categories Addition UpdateTags floor, slab prepLeave a comment on Update: floors and cabinets coming next! Orth House was designed by Walter Burley Griffin in 1908, and is listed on the National Register. See Historic Orth House photos.